Taking your own family photos is never an easy task. The kids complain, the husband whines, and mom (the photographer) ends up going crazy. However, this year I took my photos at The Studio Hampton Roads and had a MUCH more pleasant experience. 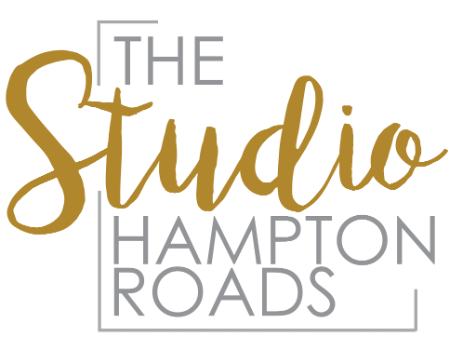 So, I would like to share with you why and how I made my family Christmas photos so much easier by taking them at The Studio Hampton Roads. 1. The photos were not in MY home. This means that I didn't have to go crazy cleaning the house while trying to KEEP it clean with two little guys and the pets in the house. 2. The Studio FEELS like a home. Even though the photos weren't in our home, the setting was still perfect for making the children comfortable. They didn't feel like they were cramped inside a stiff business, instead they were able to move freely, relax on the couches, and get out their own bottles of water. 3. The choice of going inside OR outside was perfect to not risk the weather. My plan was for photos outside, but day-of everyone was complaining how cold it was so we chose to do them inside with the heat turned on instead. 4. Everything was so BRIGHT! The sunlight through the windows meant that everything was bright and comfortable so we could use natural light and not have to bother with setting up lights. 5. My biggest tip of all though, BRING ASSISTANTS! My parents and my sister came along to help keep the kids happy, change their clothes, and help take pictures. With the use of a tripod and a timer, we even took some photos of all of us together. p.s. the photos on the bed were taken in The Classic and the other photos were all taken in The Main shooting space.